West Park is best known as a pleasant neighborhood on Cleveland’s far West Side. But many may not be aware that West Park was originally an independent city with its own mayor, city hall, police and fire departments, school system, and plans for a public library. In 1810, Cuyahoga County, Ohio, Township 7, Range 14, of the Connecticut Land Company’s Western Reserve was bordered by Lake Erie on the north and present-day West 117th Street on the east, Brookpark Road to the south, and West 230th Street on the west. In 1819 the name “Rockport Township” was adopted by local residents. As the population of the 15,207-acre township grew, hamlets and villages were formed, eventually leading to the establishment of surrounding Lakewood, Rocky River, and Fairview Village. Likewise, Rockport Hamlet was formed in 1892. It was incorporated as Rockport Village in 1902, and renamed the Village of West Park in 1913. Eventually it became the City of West Park in 1921 with a population of 8,591 residents. 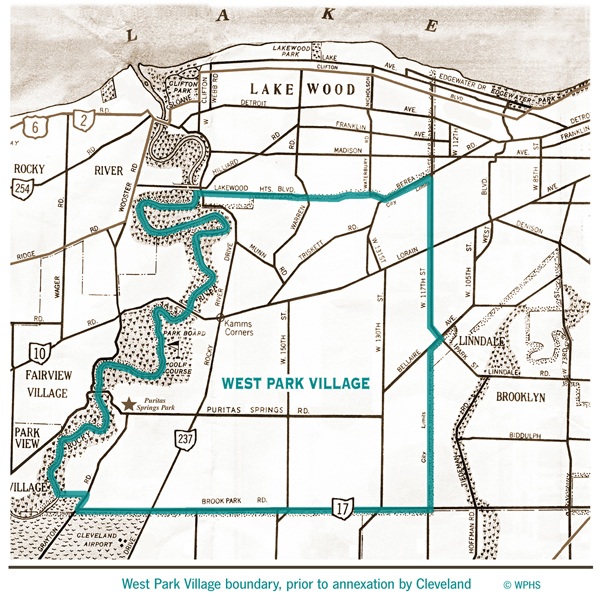 As had the citizens of Newburgh, South Brooklyn and Collinwood, among others over the years, West Park residents voted to merge with the City of Cleveland in 1922. The inducement was Cleveland’s promise of lower taxes and public transportation fares, updated utilities, infrastructure, safety forces and schools. 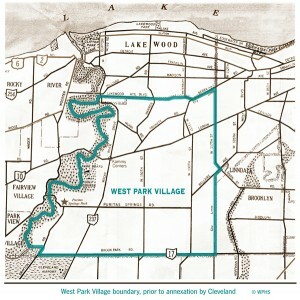 On January 1, 1923, West Park, which comprised 12.5 square miles, was the last independent city to be annexed by Cleveland.